Back In NOLA For Netroots Nation 2018! Hi NOLA, I'm back! As you TransGriot readers know I was recently here after a nearly three decade absence for a BTAC Leadership Training Institute. This time I'm here for the 2018 edition of Netroots Nation. Some of the 3500 people coming to the Crescent City for this event are US House candidate Alexandria Ocasio-Cortez, Sen. Cory Booker (D-NJ), Sen. Kamala Harris (D-CA) and Sen Elizabeth Warren (D-MA). So what is Netroots Nation? 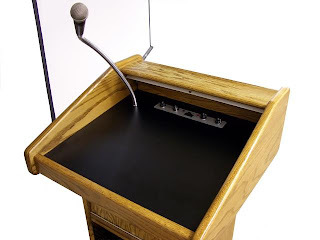 It is one of the largest progressive political conferences in the United States that grew out of the YearlyKos conference organized in 2006 by the readers and writers of the Daily Kos blog . From that initial event in Las Vegas that got major mainstream news coverage, it has grown not only in importance in Democratic and liberal progressive circles, it also travels to different parts of the country. Still wondering when I will get to see Netroots Nation happen in Houston Austin so far has been the only Texas city to host it, having done son in 2008 . 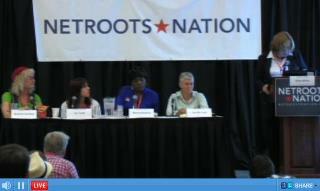 This is my fourth Netroots Nation conference. and my third consecutive one since 2016 The first one I ever attended was in Providence, RI in 2012 to take part in that historic trans panel during that event. I didn't return to Netroots Nation until the 2016 event in St Louis, where as y'all know I walked away with the Pundit Cup title after being urged to do so by John Gorczynski . Now it's in New Orleans. I'm looking forward to being at the Ernest N. Morial Convention Center not only the political happenings that will tranpire here, and taking part in two panels, but do so in a city in which I have a deep personal connection to. As the 2016 Pundit Cup Champion, I'll be interested in checking out this year's competition and see who emerges as the 2018 title holder. The last three Pundit Cup champs, FYI have been women, and the last two (2016-17) Black women, so don't bet against that pattern continuing. The panel is called Keep Marching 2018: Connect Locally Build Power and Win. It will be moderated by Kristin Rowe- Finkbeiner and will have Monifa Bandele and Almas Sayeed scheduled to be on it with me. It will be in Room 214, and hope to see you there. 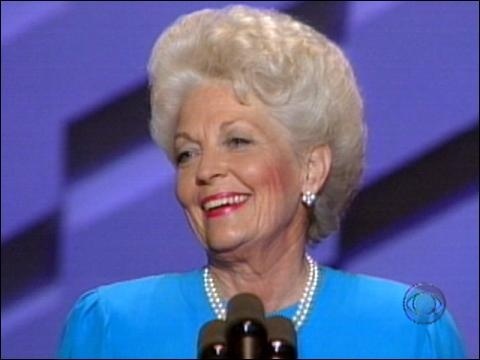 Thirty years ago today Ann Richards, who was our state treasurer at the time, gave the keynote address to the Democratic National Convention delegates gathered in Atlanta. Two years later, she would become the second female governor of Texas. She is still dearly missed by all of us who loved having her in the Governor's Mansion and in Texas Democratic Party circles. It would be interesting to see what Governor Ann would say about the current occupant of the White House if she were still with us. But enjoy this respite from the Trump madness and check out this video of her 1988 keynote speech. The Year of the Trans Candidate also extends to the Navajo Nation, which is conducting its presidential election this year. 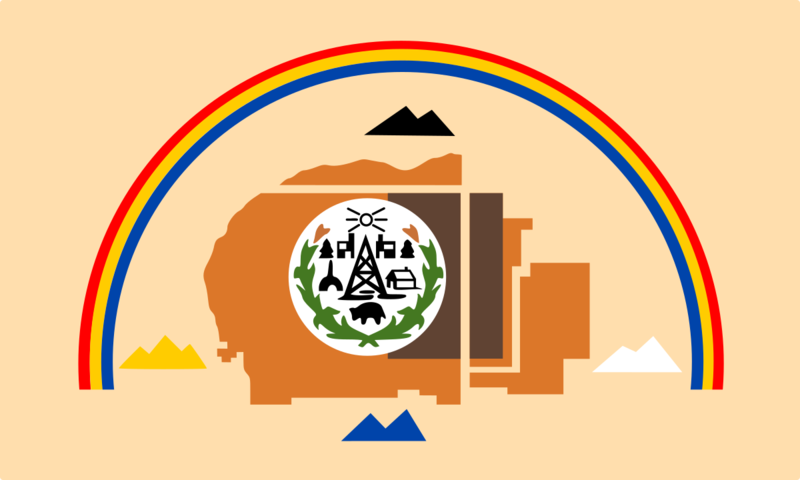 The Navajo Nation is the largest Native American reservation in the United States, covering portions of three states and a territory the size of West Virginia. . 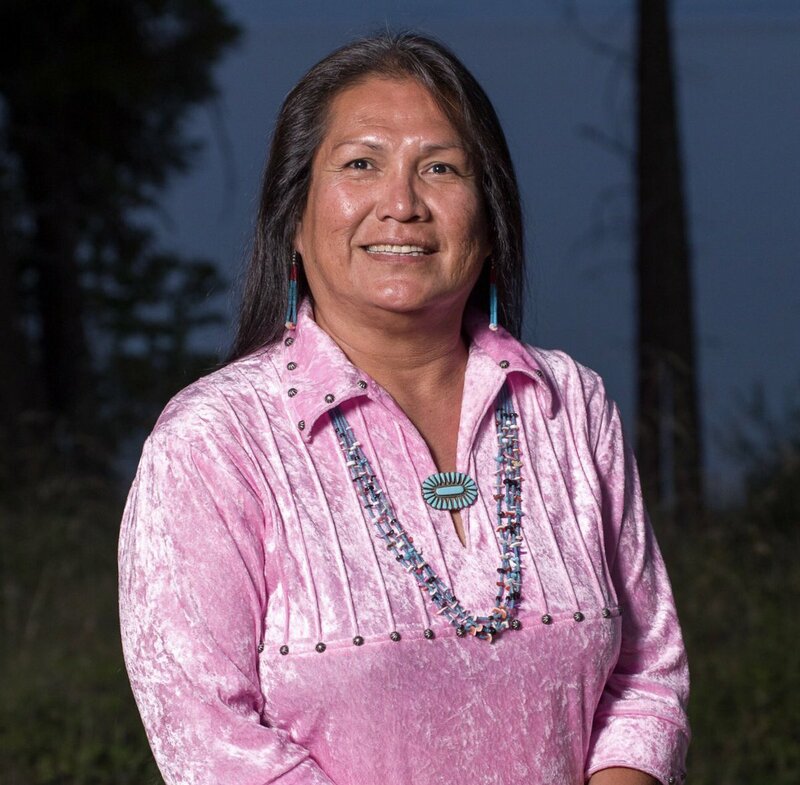 There are a record 19 candidates running for the presidency of the Navajo Nation, and one of them is Trudie Jackson. She is one of three female candidates that made it onto the primary ballot when nominations closed on May 30. Now we'll have to watch what happens as we get closer to the August 28 primary election date for the Navajo Nation presidential primary. The top two vote getters choose their vice presidential running mates, and move on to the November 6 general election. Here's hoping that Trudie continues on the path of making trailblazing history with her people and for our trans community as well. 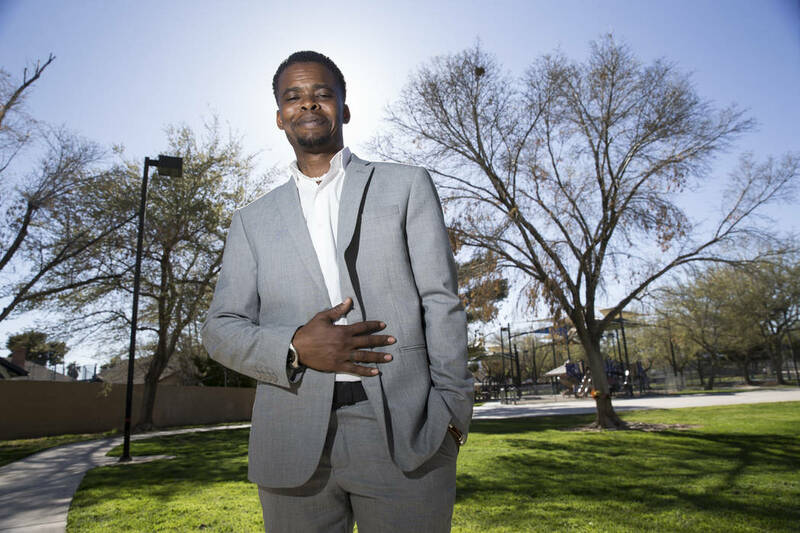 I wrote a post back in April in which I talked about Ladon Henry's attempt to become the first ever trans state legislator in Nevada and the first ever trans masculine one in any state legislature.. He was seeking the District 42 state assembly seat, which is in the Las Vegas area and a undeniably blue one with a 2-1 Democratic registration advantage. Henry and the other candidates in the race for the Democratic nomination in this district were seeking to replace retiring Assemblywoman Irene Bustamante Adams (D) who declined to seek a fourth two year term. The winner of the primary would become the next representative of this district because no Republican filed to run for it. The Nevada primary election was held on June 12, and unfortunately Henry didn't win. Alexander Assefa captured 55.32% of the vote (1399) to become the next District 42 representative with Kathleen Lauckner getting 34.12% (863) of the cast ballots. Henry did get a respectable 10.52 % (267) of the ballots cast in this race, but I'm sure he'll tell you he would have rather won this race. Will he run again two years from now? That's a question only Henry can answer. Seems like because they're living their boring life in the 'burbs of Katy and Magnolia, Dave Welch and Steven Hotze have nothing better to do than meddle in Houston business. Drag Queen Storytime was started back in November 2017 by Darius Vallier, a drag queen known as Blackberri for his bearded lady persona. Vallier was invited by Brazos Bookstore last June to headline its Drag Queen Story Hour for LGBTQ Pride Month. The event was a smashing success, and the Houston Public Library hired Vallier to host its own Drag Queen Storytime event at the Freed- Montrose Neighborhood Library. 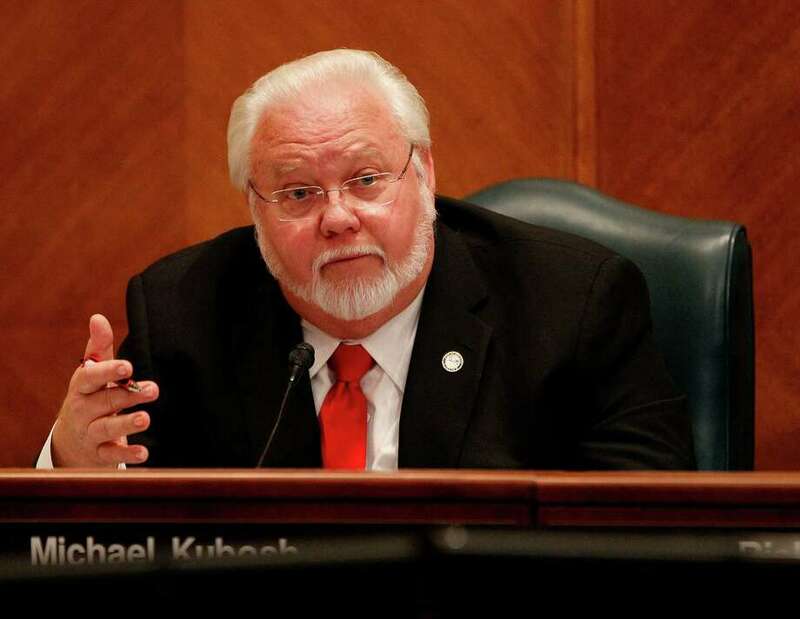 KHOU-TV 11 recently broadcast a story on July 9 about the Drag Queen Storytime event at the Heights Public Library, and that was enough to get the attention of At-Large Councilmember Michael Kubosh and his reprehensible right wing friends. 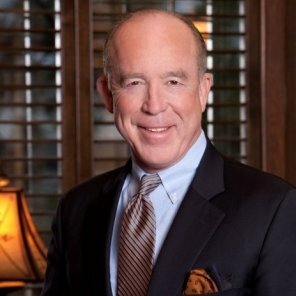 The Katy based Hotze runs the SPLC certified hate group Conservative Republicans of Texas, and wasted no time sticking his nose in Houston business after being given the heads up by Kubosh at a July 17 council meeting by attacking the event as 'inappropriate for children.' . Hotze demanded that the city kill the Drag Queen Storytime, and compared it to pedophilia. Really fool? Since when do you have credibility to talk about anything since A, you don't live in the city of Houston and B, you run a hate group. Welch and his US Pastors Council are now joining the fray since the DQSH program is a nationwide one they have been sleeping on. . Meanwhile the Houston GLBT Caucus has weighed in with a statement supporting the event. But the big mic drop comment belongs to Vallier. Nope. Hotze, Welch and all their hate pastors are too busy gleefully coordinating oppression against the Texas TBLGQ community to take time out of their day to read to kids like you are doing. I just finished writing about the most recent person we have lost to anti-trans violence in Sasha Garden. Was sent word of our latest trans murder we are just now finding out about courtesy of TransGriot reader Paige Mahogany Parks. We head to Meridian, MS for the latest report concerning a trans sister who has gone too soon. And as you probably guessed, she was misgendered and disrespected in death by the local media. Pay attention WTOK-TV and Carly Blake. This is how you properly report on the death of a transgender woman. Pronouns have been corrected from Blake's original story. 39 year old Diamond Stephens was discovered dead Monday afternoon June 18 after Meridian police were called to the scene of an accident in the 2200 block of 26th Avenue in which a van crashed into a home. "It looked like a single shot from what I could tell without disturbing anything. The body has gone to Jackson for an autopsy and we are just waiting for the investigation to hold there," says Cobler. Meridian police are still looking for the shooter and a motive in the killing. MPD Chief Benny Dubose says that the gunshot wound was not self inflicted. "Number one, she was shot in the back of the head. Number two, it appears that there might have been either one or two other individuals in the vehicle at the time she was shot," explains Chief Dubose. Chief Dubose says there are currently no suspects in Stephens' murder, but confirmed they do have tips from several citizens. If anyone has information about this case, you are urged to call Meridian police or Crimestoppers at 855-485-8477. Stephens sadly is now is the 16th person killed in the US this year, and the tenth African American trans and GNC person we have lost to anti-trans violence in 2018. She is also sadly as per the ongoing pattern in these killings, under age 40. #SayHerName, since WTOK-TV, Carly Blake and Chief Benny Dubose have a problem doing so and respecting her Black trans life. Not aware at this time of any memorial service or vigils being planned for our fallen sister. Rest in power and peace, Diamond. Your trans siblings and all who loved you won't rest until the person or persons who prematurely ended your life are brought to justice. TransGriot Update: My apologies. Had to rewrite the story because I didn't notice the posted date of the problematic media report from Meridian. Diamond was killed back in June and was one of three people we lost that month . Nicole Maines Gets Supergirl' Role! The shows I put in the #MustSeeTransTV category are continuing to expand with every passing year. 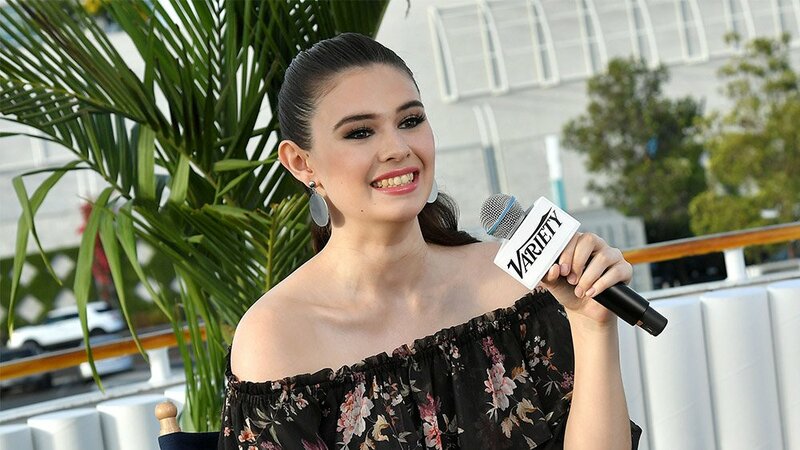 Now I'm happy to hear that Nicole Maines has been tapped for a groundbreaking role in the upcoming fourth season of Supergirl playing a transgender superhero. Well, that's not too far from her real life in being a trans advocate, the victorious plaintiff in a groundbreaking trans rights case, and being in a well received April 2016 TedXTalk, but back to discussing her latest accomplishment. The 20 year old Maines will be playing reporter Nia Nal, who is working alongside Kara (Supergirl) Danvers at CatCo. Nia will as the season progresses have her superhero destiny revealed to her. Her casting was revealed at the just concluded San Diego Comic Con on Saturday, and she is justifiably nervous about this groundbreaking role and the buzz it is creating for the show as the first ever transgender superhero on television. "It feels fitting to say, with great power comes great responsibility, she said in a Variety interview.."I'm nervous because I want to do it right . Maines is no stranger to television, having guest starred on the show Royal Pains during its seventh season .In the Variety interview she was asked what she would like out trans youth to take away from this groundbreaking step fo her and the community. "We can be whoever we want, we can do whatever we want, we can be superheroes, because in many ways we are," she said. "We’ve had trans representation in television for a while but it hasn’t been the right representation ... I think we’re in a time right now where more than ever representation in the media matters. And what we see on television has a very dramatic effect on our society." Yes ma'am, positive media representation most certainly does matter, which was why Scarlett Johansson got put on blast a few weeks ago. Maines expressed her thoughts about that contentious issue of cis actors playing trans parts as well. "I think that cisgender actors don’t take roles out of malice, it’s just a failure to realize the context of having cisgender people play transgender characters ... Having trans people play trans roles shows that we are valid in our identities and we exist,” Maines said. Good luck in your new role, Nicole! So proud of you and will be watching when the new season of Supergirl starts in October on the CW Network. . 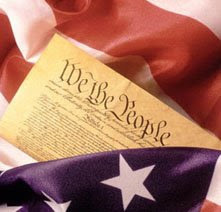 Ever since these so called 'religious freedom' laws were proposed by the Republican conservafools and their evilgelical accomplices, I and other non-white Americans long ago saw through the transparent attempt to reinstitute Jim Crow style discrimination and aim it at TBLGQ people. I saw the danger of giving people the right to refuse service based on specious religious grounds, because I believed it would be aimed at the trans community and other non-white groups the fundies didn't like. This past weekend the news broke that back in April, Hilde Hall went to her local CVS store in her Phoenix suburb of Fountain Hills, AZ to get her hormone prescription filled. Her excitement about that happening quickly turned to anxiety and anger when the pharmacist not only refused to fill her prescription, but committed a possible HIPAA violation by loudly outing her to other CVS employees and pharmacy customers. In addition, the transphobic pharmacist refused to give back the written prescription so she could get it filled at another pharmacy. Hmm, wonder what right wing church this now unemployed transphobe attends?. FYI, CVS has a perfect score on HRC's Corporate Equality Index, which trans advocates for several year now have said has flaws when it comes to trans rights issues. Hall's doctor was forced to call in the prescription to another pharmacy, which was filled with no drama at a nearby Walgreens. Hall called the CVS Customer Service twice line to complain about her unjust treatment, but her concerns weren't addressed until she filed a complaint with the Arizona State Board of Pharmacists and started talking to the ACLU. CVS to their credit, has apologized to Ms. Hall for the incident, and as I alluded to earlier in this story fired the transphobic pharmacist in question. Too bad we don't have that pharmacist's name so they can be shamed for being a reprehensible bigot. . 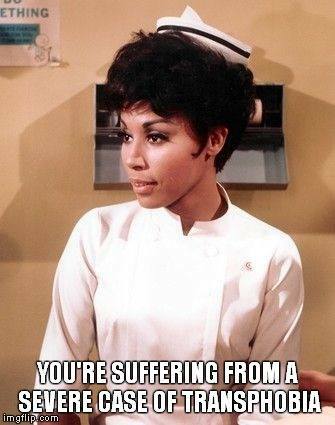 Note to you medical transphobes. 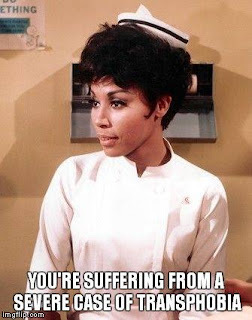 If you attended or are planning to attend a medical, nursing or pharmacy school and think your right wing 'dry as dust' fundie 'faith' gives you the right to discriminate against LGBTQ people or anyone you don't like, no boo boo kitty, it doesn't. Our LGBTQ tax dollars pay for the upkeep and maintenance of those medical, nursing or pharmacy school you matriculated at with the implied contract that once you graduate and get licensed by the state, you would serve the health needs of the general public. Trump's, the Republican Party and the evilgelical wing attacks on trans Americans have emboldened low level bigots to feel they can exercise their oppressor gene with impunity. These bigots are fortunately finding out that acting on their transphobia can be a job killing exercise. We have an update in the Keisha Wells murder case in Cleveland. Wells was found dead in an apartment building parking lot at 7 AM EDT from a gunshot wound to the abdomen back on June 24. She had gone to a local bar called Cocktails that evening in Cleveland's Cudell neighborhood. Eleven shell casings along with a leopard print shoe, a wig and a sweatshirt were also recovered at the scene. The person arrested was 27 year old James Butler, a homeless man who helped the shooter move Wells' body from his car, dump it after she was killed and clean the shooter's car. Butler subsequently told his mother about the crime, and Butler's mother called Cleveland PD to report it. Butler has been charged with complicity with aggravated murder, and an arrest warrant was issued for him on June 27. They are still looking for the shooter in the Wells case, and hopefully once Butler is in police custody, he can give CPD the info they need that will result to the capture and prosecution of the shooter who killed Keisha Wells.. The latest person we will be memorializing in November is 27 year old Sasha Garden. Her Facebook page states that she is from Milwaukee, WI. And yeah, as you probably guessed, Sasha was deadnamed and horribly disrespected by the local Orlando media and WFTV 9 reporters Ty Russell and Kevin Williams. Read, watch and learn Orlando media, Ty Russell and Kevin Williams, on how to properly and RESPECTFULLY cover a trans person's murder. We Black trans women are beyond sick and tired of being sick and tired of 'being disrespected in life and in death. Her body was found at approximately 5 AM EDT behind the Reserve at Lake Buchanan Apartments located at Rio Grande and Holden Ave just east of Orange Blossom Trail. 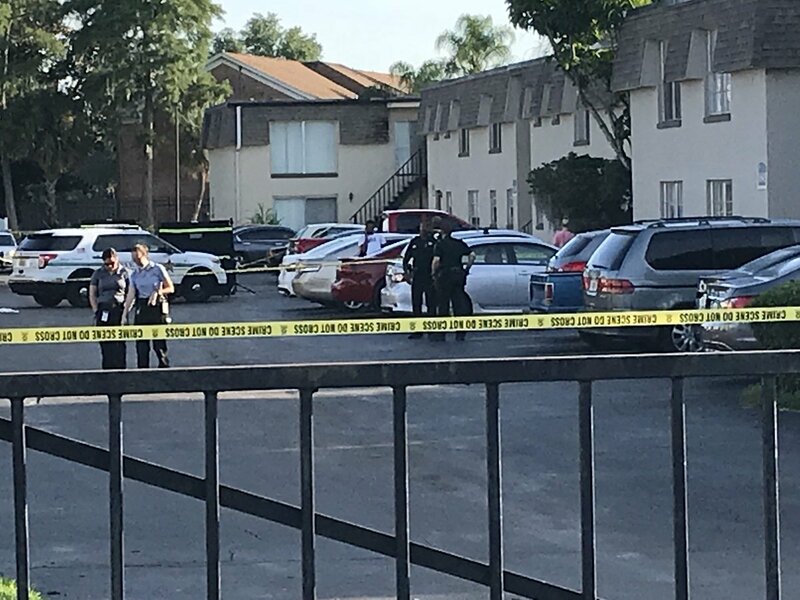 Orange County Sheriff's Department investigators are presuming she didn't live in the complex where her body was found. Coroners arrived on the scene at approximately 8:45 AM as Orange County sheriffs began to canvass the area for information. Garden is the 15th trans person killed in the US this year, and the ninth African American trans and GNC person we have lost to anti-trans violence in 2018. I'm going to say it again because I'm really angry about it right now. I'll call out the jacked up reporting later. As of his moment no word from my Orlando area trans family of a vigil or memorial service, but will pass that info along once I receive it. Rest in power and peace, Sasha. Your life was taken away from us way too soon. Your trans family will not rest until the waste of DNA who committed this crime is brought to justice . Pose Gets Renewed For A Second Season! 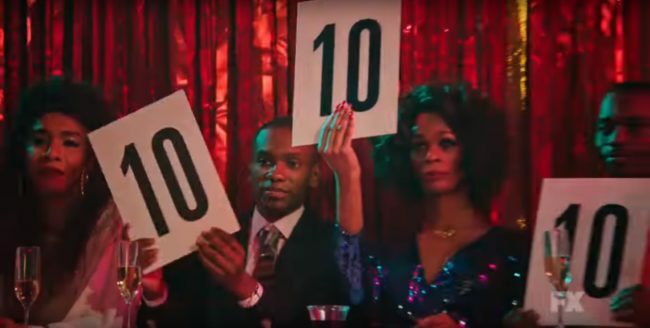 We're not quite done with Season 1 of the FX series Pose that has trans actor,s writers and producers, but we do know that we will have more episodes of it to watch when this current 12 show run is over. This show set in the late 1980's is earning tens across the board from the ballroom community, people who watch the show and television critics . Pose was picked up by FX for a second season that will start in 2019. 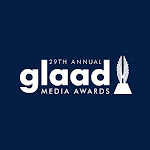 Congratulations to this groundbreaking series that has five trans main characters played by MJ Rodriguez, Dominique Jackson, Indya Moore, Hailie Sahar and Angelica Ross, trans writers in Our Lady J, choreography by Leiomy Maldonado and a trans producer in Janet Mock. For those of you who have cable, you can check Pose out either on demand or on Sundays on FX at 8 PM CDT. I'm also looking forward to seeing what happens between the Houses of Evangelista, Abundance and Ferocity. I'm also looking forward to watching the evolution of all my fave characters on this groundbreaking show. This is #MustSeeTransTV, so keep supporting Pose, give the actors some love, and thank FX for giving it a broadcast home through 2019. I had to find a new place to live at the end of May, and I hate moving to the point where the thought of it literally depresses and overwhelms me. But knowing I had to handle my moving business combined with Dee Dee Watters gently nudging this Taurus into action got me out of it and on task. I spent much of the month of June searching for a new place. I finally found one with the help of an apartment locator I liked, signed the lease and moved on July 6. While searching for that new Casa Moni, it necessitated me moving around a lot during the month of June while engaged in that apartment search. I was trying to find a place that fit my budget and my move parameters of being near public transportation and not near a known Houston flood zone. The luxury apartments have been springing up like weeds over the last few years all over the Houston area and especially inside Loop 610 were not on my list at this time. I would have rather found a spot inside the Loop, but those peeps frantically building the luxury units seem to have forgotten that many people can't afford to spend $1000-$1500 a month or more for a one bedroom place no matter how many mind blowing amenities are crammed into these inside the Loop units in prime locations. It's also seems to be a primal reaction that when you have instability in your housing situation, nothing else matters until you get that satisfactorily resolved, and that's the headspace I've been in since late May. So while I was looking outside the Loop and in some cases Beltway 8 for a new place, two different Galleria area Air BnB's were my temporary homes. I also ended up in two westside hotels when a glitch developed with the start of my electric service that kept me from moving into my new place on July 1. One of the moves to a hotel happened mere hours after I returned to Houston from the BTAC Leadership Institute in New Orleans. So yep, been dealing with life throwing curveballs at me for the last month. While I was blessed to be able to have people looking out for me and be able to stay in a Air BnB while looking for a new spot, I was well aware of other people who may not have been so fortunate, and I'm profoundly thankful for that blessing. And while I was in the second Air BnB, discovered a wonderful seafood place across the street from while I was staying at the one on Fountain View. Once I finally moved into my new place in Houston's Westchase area, it was not only getting acclimated to a new neighborhood, but moving stuff from my storage space near downtown Houston. That is a task I'm still trying to complete as of this writing. It was choosing an electric company, then setting up electric service. Same for which cable service I would be watching in my new place. I had help from many people along the way. From the Houston community peeps who helped me move stuff out of my storage space to everyone here and around the country who bought me housewarming gifts on my registry I have put to good use. A few even dropped some change on my PayPal to help me with moving expenses. 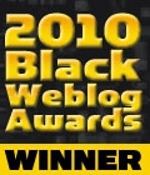 I thank you all for what you have done (and continue to do) to help a sister out. Now that I have a 14 month lease on this place, I can put down some roots and go back to focusing on giving TransGriot the attention it deserves and engaging in some activist stuff. Frankly, moving every six months as I have been doing since October 2014 was getting frustrating, and contributing to my reluctance to get involved in more community actions . I'm also looking forward to meeting my neighbors and exploring this new neighborhood. So if you've been wondering why I haven't been publishing on my usual daily schedule, now you know. Life got in the way. 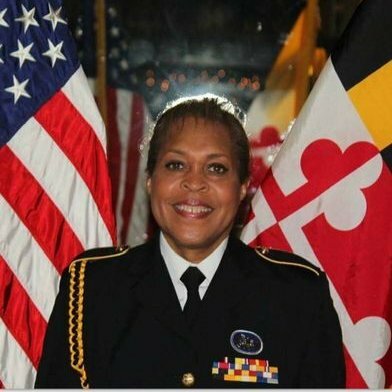 Karen Kendra Holmes is a safety office for the federal government, serves in the Maryland National Guard and is one of our award winning advocates. She was named in 2017 as one of the 'Top 50 Transgender Americans You Need To Know', and BTAC honored her with the Monica Roberts Advocacy Award that same year. 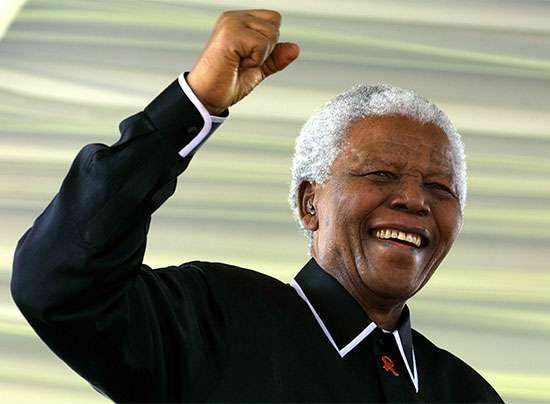 Today would have been the 100th birthday of former South African president and human rights warrior Nelson Mandela, who died December 5, 2013 at age 95. You TransGriot readers are probably aware of his remarkable life story. His fight against an unjust and racist apartheid system that led to him being imprisoned for 27 years of his life before being released in 1990. He became the first Black president of South Africa in 1994 and served until 1999. And he was admired and respected around the world. While he would humbly say "I was not a messiah, but an ordinary man who had become a leader because of extraordinary circumstances ", the rest of the world saw him as a global icon and a leader in the same territory as the Rev Dr. Martin Luther King, Jr and Mahatma Gandhi. We sill have his words to peruse, do some hard solid thinking about, and most importantly live by, especially on this day. .
One of the things I have not been happy about since I came back home is the Texas Department of Public Safety (our Texas state troopers) consolidating offices into this mega center concept and putting them far off the beaten METRO path in the 'burbs or a long bus ride from the hood and barrio. Had another negative experience with the DPS yesterday. Since I've recently moved, I now have 30 days to update my Texas ID to the new Westchase area address. I set yesterday aside to accomplish that task. The nearest DPS Mega Center to me is six miles away from my new digs on S. Gessner, about 15 minutes by car but an hour by METRO bus. Interestingly enough, that Mega Center, which has lots of nonwhite folks using it because of the composition of the nearby surrounding neighborhoods, is closed for a renovation that started May 24 and is scheduled for completion November 30. 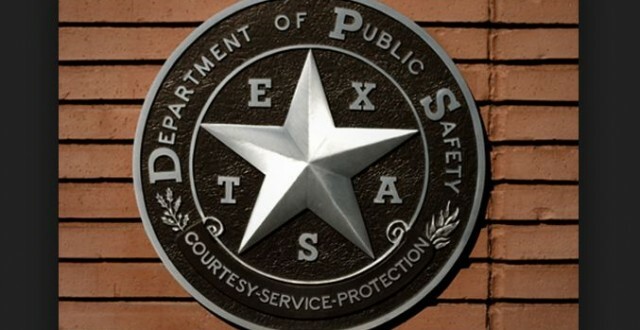 The S Gessner location is also considered one of the busiest in the state of Texas. The other Mega Center is even farther north (12.9 miles) on Veterans Memorial, and two I won't be able to access near The Woodlands, and in Rosenberg in Fort Bend County. That leaves on the METRO bus accessible list the DPS Dacoma office in NW Houston near Northwest Mall and one that just opened off Old Galveston Rd 22 miles on the far southeast side of town from moi. I'm having to go in person to do the address change because I don't have a printer right now in order to do so online. 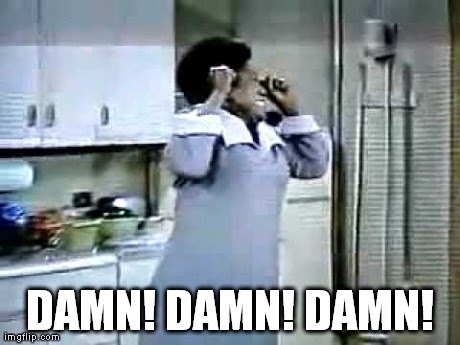 So after getting up early Monday morning in order to catch three buses to get to the Dacoma location, I get off at the stop for the DPS office to see a line wrapped three quarters of the way around the building just to enter it. Needless to say the heat index for Houston that say was predicted to reach triple digits and it was close to noon when I got there. So after resigning myself to a long wait, I got in line. I was there about ten minutes when three DPS employees came out to ask if anyone was in line for renewals or to get a new license. I told the employees I was there for a change of address, to which she responded "We don't do those at this location, you have to go to a MegaCenter." I responded, "That would have been nice to know before I took three buses to get to this location." She then handed me a flyer with the addresses of the two Mega Centers that that I already knew were light years in bus travel time from my current location in NW Houston, so since I had other things to try to accomplish I headed in the direction of my bank branch in the Galleria area cursing my buzzard's luck and once again dealing with the impact of the voter suppression apparatus that DPS Mega Centers are part of. 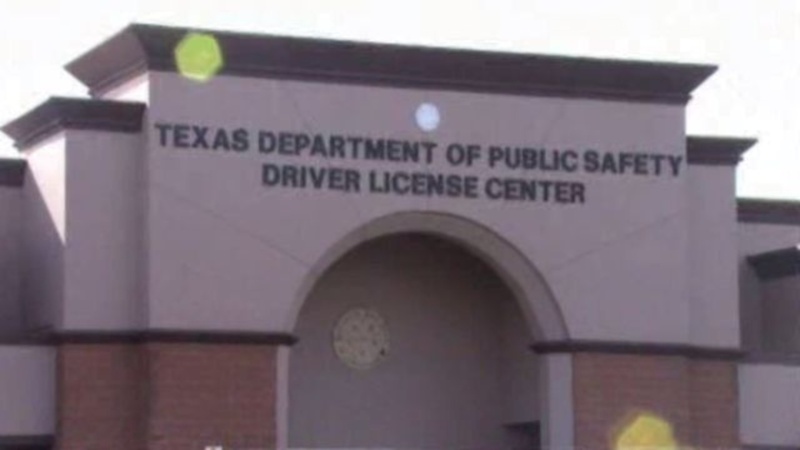 Past time the DPS puts one of those Drivers License Mega Centers closer to downtown well inside the city limits of our major cities instead of near the freaking 'burbs. 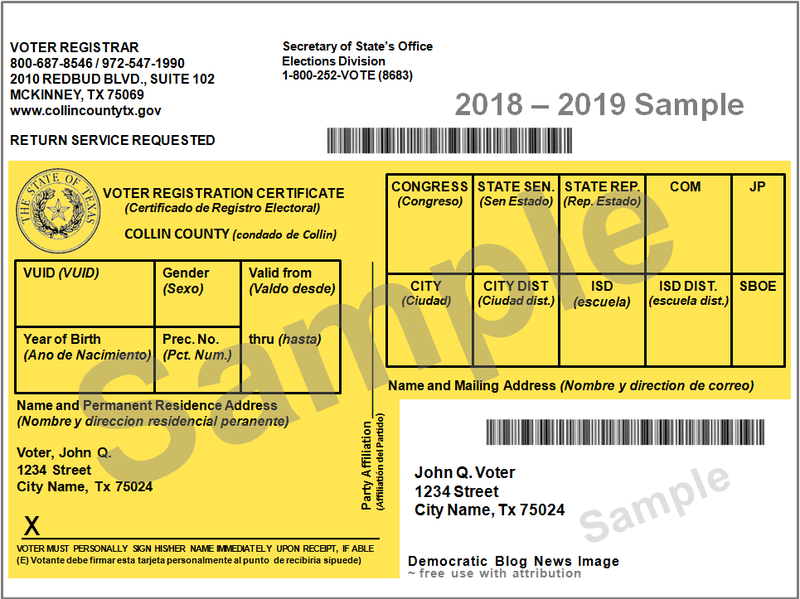 But then again it would defeat the Texas GOP purpose of putting a roadblock in being able to use the Motor Voter Law to be able to register to vote. Trust I will get it done. But right now I'm pissed that i couldn't get it done yesterday when I had set time aside to accomplish that task. Hell Naw, We're Not Gonna Be Nice To Y'all! 2018 Williams Watch- It's "Williamsdon' Time! A Trans Woman Is Crowned Miss Universe Spain!